This UPDATED tutorial shows you how to Sideload Kodi to Fire Stick or Fire TV in less than 5 minutes. To summarize this process as simply as possible, we install a sideloader app onto an Android device – then use the sideloader app to transfer (or “sideload”) Kodi to our FireStick. Don’t worry – To Sideload Kodi on Firestick or Fire TV is easy! And if you have trouble, there’s a newer method to install Kodi on FireStick (2017 Method) that requires no Android phone / tablet at all. So if you still would like to try to sideload Kodi to your FireStick, continue reading. If you’d like to skip to the faster, easier method that requires no Androids, watch our How to Install Kodi on Fire Stick 2017 YouTube video. This is the official download page for Kodi. Click on “ARMv7” to download the Kodi Firestick install file! Then proceed with the directions below to Sideload Kodi to Firestick or Android TV Box. Sideloading Kodi is one of the easiest and most reliable ways to install Kodi on Fire Stick & Fire TV. Use the steps below to Sideload Kodi or any other Android app to Fire TV or FireStick. 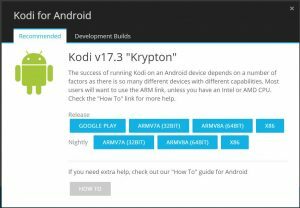 On your Android phone, install Kodi from the Google Play Store. Install Apps2Fire (get it here) or AGKFire (here) from the Play Store on your Android phone. Launch Apps2Fire after it’s installed. Then, get your Firestick’s IP address. You can get your Firestick’s IP address by going to “Settings” from the Firestick Home screen. Then select “Network”. 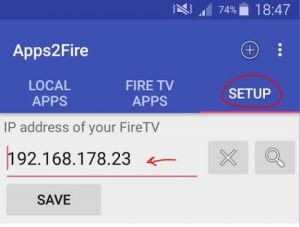 After you have your Firestick’s IP address, enter your IP address into the “Setup” tab of the Apps2Fire or AGKFire app. 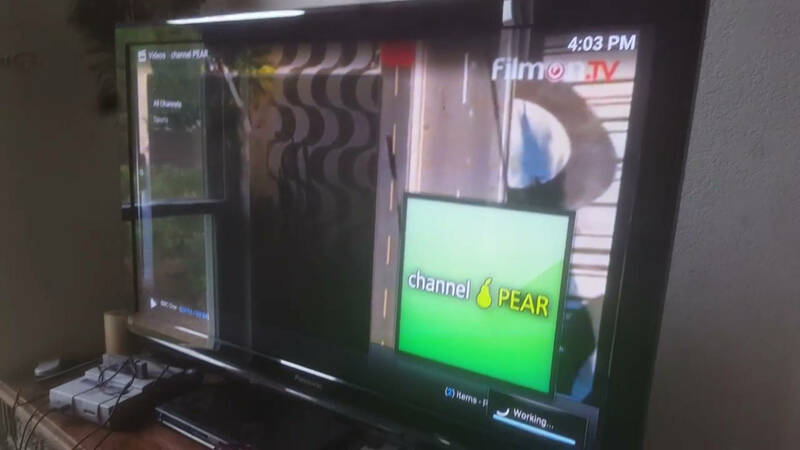 Find Kodi in the list of “Local Apps” (which means apps that are installed on THAT device), select Kodi from the list of local apps, then press INSTALL. Kodi will transfer, or install, or “sideload” to your Firestick. Then just find Kodi in your Firestick’s Apps list and launch Kodi on your FireStick! Finally, install TV Addons, secure your streaming connection, and play Mario Kart 64 on your Fire TV. Optional: Instead of installing Kodi onto a secondary device, you can just download the Kodi APK file here. Then use Apps2Fire to “Open” the APK file and install it on your Firestick. Recommended: Set up a Kodi VPN in about 5 minutes. Problems? If sideloading Kodi gives you trouble, try the Install Kodi on FireStick 2017 Method, try the older Install Kodi on FireStick with ES File Explorer method, or use ADBLink (see our guide on Installing Kodi on Firestick with ADBLink for PC/Mac/Linux). Can I Sideload Kodi to Other Devices? Yes! You can sideload Kodi to just about any Android device. This includes Android TV Boxes, Amazon Fire Tablet, Amazon Fire TV and Amazon Fire Stick and many other Android devices. So have fun and sideload apps to all of your Android devices! We recommend that you sideload a “Cleaner” app to clean up your FireStick. Or check out our Fire Stick Optimization guide. If you have a problem sideloading Kodi, ask on the KFire TV YouTube channel, or search for “install Kodi” in the search box on the KFire home page. Can you do a tutorial on how to side load kodi with an iPhone? Yes, I’ll have that for you ASAP! When do you expect this to be up? Thanks man greatly appreciate the help!! Sup Anthony! Of course. The email has been sent. Hope it works – if not, let me know. I can’t find the side loader for fire tv. Do you know if it is still available? Hey there is no side loader in App Store any more? Suggestions to get kodi? ?